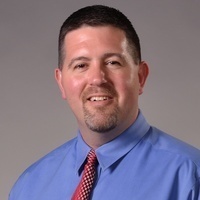 Dr. James Bovaird, Associate Professor of Educational Psychology at the University of Nebraska Lincoln, will be presenting on behalf of the Great Plains IDeA-CTR Network. Modern cross-sectional applications of mixture modeling to be discussed include latent profile analysis (LPA) and latent class analysis (LCA); and longitudinal applications include latent growth mixture models (LGMM), latent Markov models (LMM), and latent transition analysis (LTA). Examples will utilize the Mplus statistical analysis software.